This gorgeous bowl of tulips was inspired by a lovely antique chamber pot that I have sadly now dropped and smashed into dozens of pieces. The tulips “happened” after a visit to the bulb fields in Holland. The old chamber pot was part of a lovely set I bought at auction soon after we moved to Fairford and it graced our antique dressing table in our first old cottage. 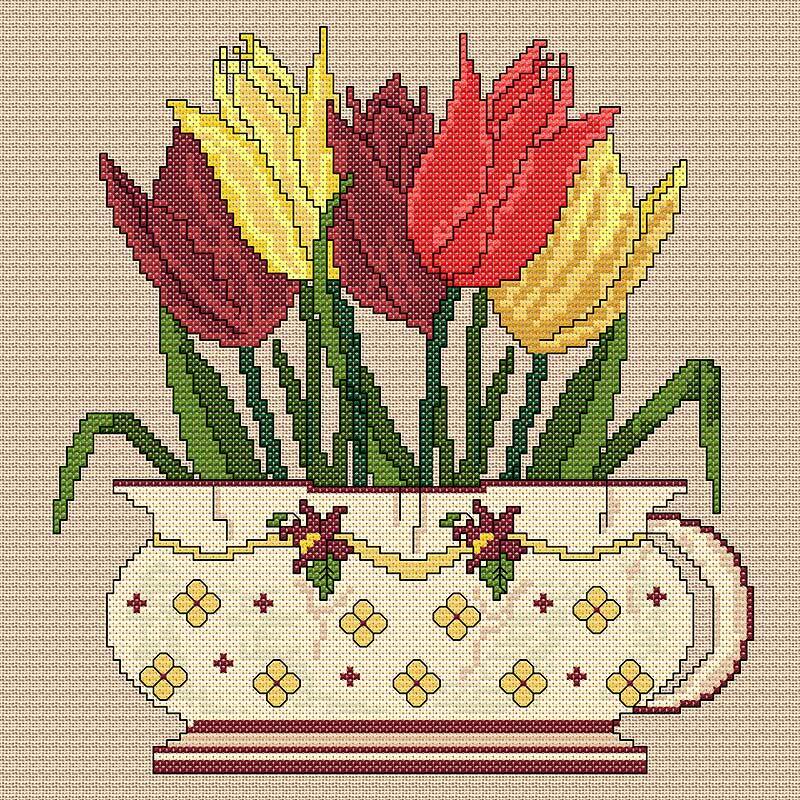 This project may be stitched on linen or Aida fabric although I think that linen may be simpler as there are a few fractional stitches on the chamber pot. (Remember linen is not difficult, just different).